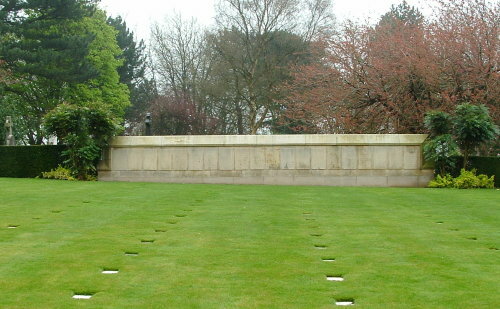 Royal Canadians buried at the Birmingham (Lodge Hill) Cemetery are listed below. Photos by Paul Drynetta; a member of the Great War Forum. 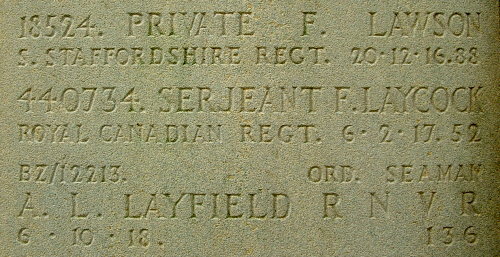 "Sgt Laycock's name appears on the extreme right panel, about 3/4's of the way down. 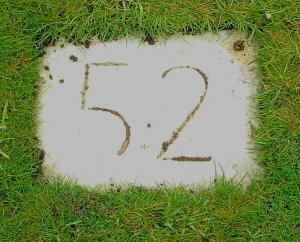 On this panel appears the date of death, plus another number (52), this corresponds to a number on a concrete plaque on the ground. Burials are beneath these stones; there are no upright headstones."